San Francisco is a part of Silicon Valley where simple lunch conversations turn into brilliantly executed ideas. I frequently visit San Francisco to meet investors and attend various business summits. The first thing you notice when you are about to land in San Francisco is its magnificent engineering marvel, the Golden Gate Bridge. You also notice its diversity—from its pristine beaches to the world’s finest wine and from its great night life to trend-setting cuisine. San Francisco is truly a blend of historic sites and an eclectic cultural scene. The casually elegant Taj Campton Place, tucked into a quiet corner of Union Square, is my favourite place to stay. It is close to the city’s financial district, art galleries, museums as well as dining, night life and shopping destinations. For a more sedate San Francisco experience, I'd recommend InterContinental San Francisco; I enjoy relaxing at its lobby bar. I prefer to conduct my meetings at the business centre of the hotel where I stay as it saves a lot of time. However, I would also recommend Rosewood Sand Hill at Menlo Park. For dining, I would recommend Luce at the InterContinental. It offers exceptional cuisines inspired by local and global flavours. It also has an extensive wine list. 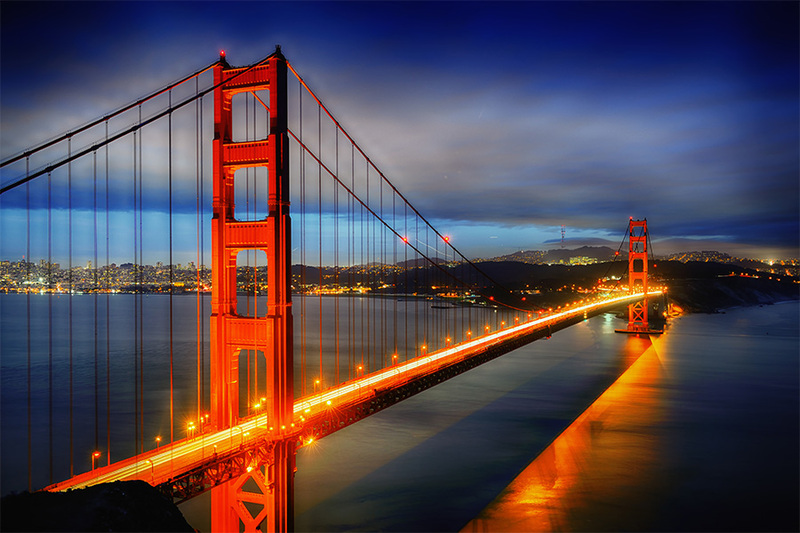 However, when you are visiting the Bay Area, it is better to head to North Beach for varied dining options. For first-time visitors, riding the cable cars is an excellent way to experience various neighbourhoods. However, in case you are running short of time, taking subways is the most convenient option. Going on a self-guided cycle tour across the Golden Gate Bridge is also a fun thing to do. Ideally, I play a round of golf. But a relaxing spa session is also a great way to de-stress. You can find amazing bars and clubs across the city. But the two best neighbourhoods to explore are the Mission and the Castro districts (commonly called The Mission and The Castro). On an extended visit, I try and go to the Golden Gate Park within which there is the Japanese Tea Garden and the San Francisco Botanical Garden. If I have to shop, I usually go to designer boutiques and departmental stores at Union Square. For serious shopping, go to the Barbary Coast area; it’s home to some great antique shops and galleries. Always remember to make reservations in advance, not only at the restaurants but also for the ferry rides. Be curious and explore. Enjoy local cuisine, especially the San Francisco-style burrito. I personally recommend planning a trip during autumn as it is the most exciting time to be in the city.